The battle for the Freedom Trophy will be played under the lights at Camp Randall Stadium on Saturday. 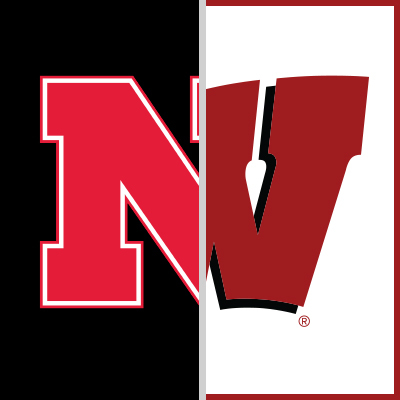 These two teams have met six of the last seven years since the Huskers joined the Big Ten, including twice in 2012, and the Badgers have won six of the seven games. Nebraska enters this matchup 0-4 this season and 0-2 in Big Ten play. The Huskers lost by five point to both Colorado (33-28) and Troy (24-19) to start the season, but have struggled against conference play with losses to Michigan (56-10) and Purdue (42-28). Many of their struggles have stemmed from mistake-prone football. Nebraska is 127th in turnover margin and 128th in penalties per game (out of 129). The Huskers have a true freshman, Adrian Martinez, under center. The Fresno, Calif. native has played well, but has made some freshman mistakes while battling injuries. Martinez is a dual threat when healthy and has racked up nearly 200 yards rushing through roughly two games played this season. Nebraska also features two of the best receivers in the Big Ten, Stanley Morgan Jr. and JD Spielman, who have combined for 40 catches for 521 yards and five scores. Defensively, the Cornhuskers defense has some work to do. They rank 97th nationally in total defense (94th passing, 80th rushing) and 118th in scoring defense, surrendering 38.8 points per game. The Huskers are led by a trio of upperclassmen at the linebacker position, including leading tackler junior Mohamed Barry. Sophomore cornerback Dicaprio Bootle has leads the nation with 10 pass breakups. Wisconsin sits at 3-1 and 1-0 in the Big Ten coming into this game. The Badgers are led by the nation’s leading rusher, sophomore Jonathan Taylor, who averages 157 yards per game and has broken the 100-yard mark in all four games this year. Junior quarterback Alex Hornibrook is 23-4 as a starter and has plenty of weapons surrounding him, including three of his top four receivers from a year ago. The Badger defense has been efficient without being spectacular in 2018. They rank 17th in total defense and 10th in scoring defense (14.5 points per game), despite the lack of a pass rush. The Badgers have just three sacks through four games but have made up for that fact with solid linebacker play. Seniors TJ Edwards and Ryan Connelly are among the team’s leading tacklers, along with safeties D’Cota Dixon and Scott Nelson. Nebraska and Wisconsin have played some tight games over the past few years, including an overtime game and a game that featured a game-winning kick. The Huskers will need their best performance of the year to challenge the Badgers, who have had an extra week to prepare for Nebraska with a bye last weekend. In a tie to the Rose Bowl Game, Wisconsin will honor the 25th anniversary of the Badgers 1993 football team at halftime of the game. That team won a then-school record 10 games, won the first Big Ten title since 1962 and advanced to the Rose Bowl Game for the first time since 1963. The Badgers beat UCLA in the 1994 Rose Bowl Game, 21-16. 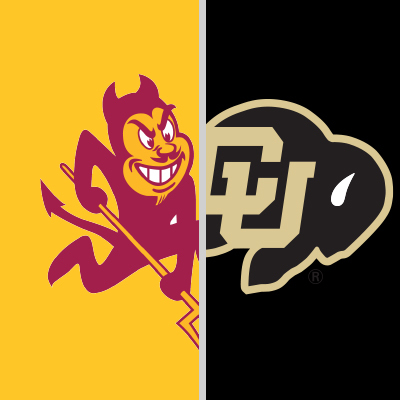 In a battle to take control of the Pac-12 South, the Sun Devils head to Boulder for what should be a wet and chilly game. Since the Buffs joined the Pac-12, Arizona State has dominated this matchup, winning six of the seven meetings. Arizona State has had an up-and-down start to the season, with early wins over UTSA and Michigan State, followed up with losses to San Diego State and Washington. Last week, the Sun Devils ran over Oregon State as sophomore running back Eno Benjamin racked up 312 rushing yards and scored four touchdowns. The ASU offense is led by senior quarterback Manny Wilkins, who has thrown for 10 touchdowns and just one interception this year. Benjamin has emerged as the lead back, while junior N’Keal Harry is one of the nation’s best wide receivers with 31 catches, 419 yards and five touchdowns this year. Defensively, the Sun Devils are among the best in the country in getting after the quarterback and making tackles in the backfield. ASU averages 3.6 sacks per game and has had 11 players record at least one sack this season. Along with those sacks, the Sun Devils average 8.2 tackles for loss per game, which is 18th nationally. But ASU had trouble against Oregon State last week. The Beavers had 406 yards of total offense, including 261 yards on the ground. The Sun Devils have had trouble getting off the field on third down, allowing opposing offenses to convert on nearly 40-percent of all third downs. Colorado is the lone undefeated team remaining in the Pac-12 after a 4-0 start. The Buffs are ranked for the first time since 2016 and appear to be headed in the same direction as the Pac-12 South champion team from two seasons ago. The offense runs through junior quarterback Steven Montez, who has completed more than 75-percent of his passes for 1,092 yards and nine touchdowns so far in 2018. Transfer running back Travon McMillian leads the team with 392 yards and 7.3 yards per carry. Sophomore wide receiver Laviska Shenault Jr. has emerged as one of the best wide receivers in America, tallying three games double-digit receptions and an average of 145 receiving yards per game. The Buffs are coming off their best defensive performance of the season by holding UCLA under 300 total yards and allowing the Bruins to score just one touchdown. Colorado has been a middle of the road defense this season, ranking 44th in total defense, but 20th in scoring defense by holding opponents under 18 points per game. The Buffs linebacking duo of sophomore Nate Landman and senior Rick Gamboa lead the team in tackles. Landman has a team-high five tackles for loss. A year ago, Colorado had a 10-point lead against Arizona State three different times throughout the game, including heading to the fourth quarter, before ASU pulled away for a 41-30 victory. These steady offenses may be affected by the chilly and potentially rainy weather, so defense could rein supreme in Boulder. 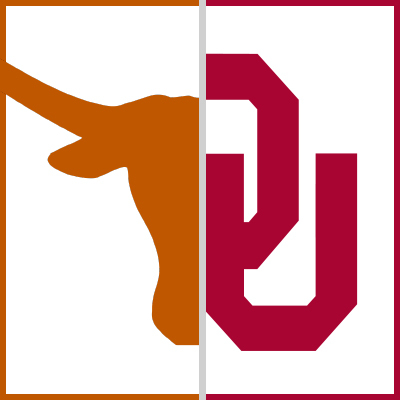 One of the oldest and most heated rivalries in college football, the Red River Showdown will feature two ranked teams for the first time since 2012. Despite the Sooners coming into the matchup ranked higher than Texas in each of the last five seasons, Oklahoma has only won three of the five meetings. The last four games in this rivalry have been decided by seven points or less. Texas sits at 4-1 heading into their biggest rivalry game. The Longhorns dropped the opener to Maryland, but have since rattled off four straight wins, including a pair of victories over ranked opponents. The Texas offense is led by sophomore quarterback Sam Ehlinger, who plays as hard as any college football player in the game today. Ehlinger will tuck it and run, putting his body in harms way for the team. He has a pair of outstanding junior receivers in Collin Johnson and Lil’Jordan Humphrey who have combined for 50 catches, 752 yards and six touchdowns this season. The Longhorn defense has been holding opponents under 20 points and 333 yards per game, which is good enough for 31st and 30th in the country, respectively. The defense collectively is the strength of the team, allowing just 115 yards per game on the ground and ranking 25th in the country in pass defense efficiency. The Longhorns have intercepted six passes this season, led by freshman defensive back Caden Sterns, who has picked off this passes this season. Texas hasn’t gotten after the quarterback this season, but average more than six tackles per loss each game. Oklahoma is 5-0 this season and were only challenged by Army, who took the Sooners to overtime two weeks ago. OU emerged victorious, 28-21. The Sooners offense is one of the most dynamic groups in the country. Junior quarterback Kyler Murray seems to have taken the offense to the next level despite replacing Heisman Trophy winner Baker Mayfield. Murray ranks first nationally in yards per pass attempt (13.4) and yards per completion (19.0), second in passing efficiency rating (231.0) and points responsible for (126). Receivers Marquise Brown and CeeDee Lamb haven’t missed a beat with their new quarterback and have combined for 43 catches for 892 yards and 10 touchdowns. As great as the offense has been, the Oklahoma defense has some room for improvement. The Sooners defense ranks 90th in total defense, allowing more than 400 yards per game, and 51st in scoring defense at over 23 points per game. OU has forced just five total turnovers in five games and allows opponents to convert on third down 42-percent of the time. Because the Sooner offense is so good, they often score quickly, which forces the OU defense to spend extra time on the field. Of the 129 FBS teams, the Sooners rank 119th in time of possession, forcing the defense to be on the field for 34 of the 60 minutes each game. In the end, when it comes to rivalries, you can often throw stats out the window. Both teams come ready to play whether they are 0-5 or 5-0. No one has been able to slow down the Oklahoma offense this year, so this game should come down to whether the Texas offense can keep up with the Sooners.